The other day I was pondering about all the strange things I know being a DIY/food blogger and one of those strange things is the fact that I know a toilet paper roll is 4 inches long. I mean that’s not normal, is it? 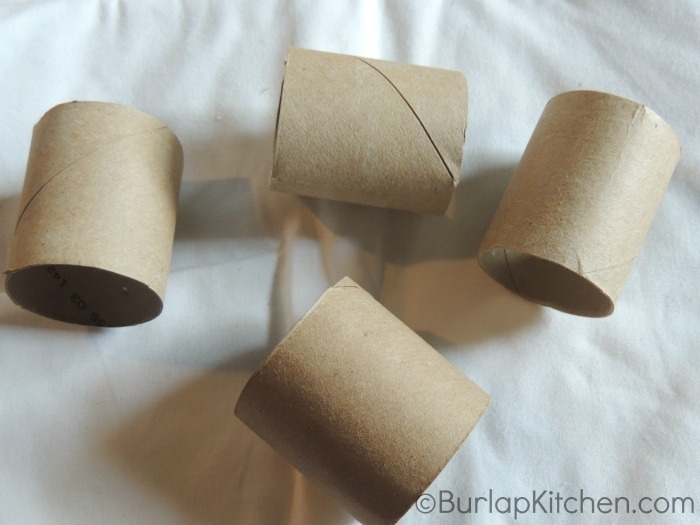 I’ve been kind of obsessed with empty toilet paper rolls lately. 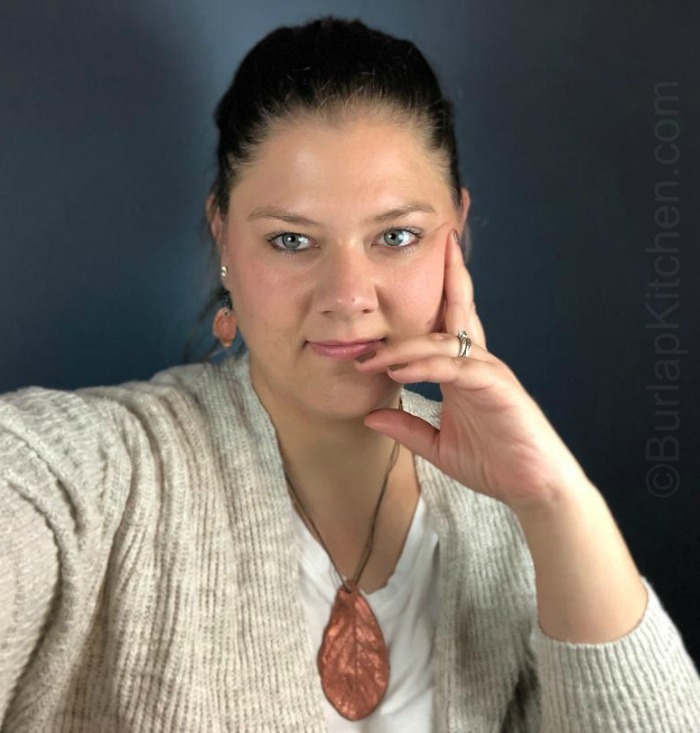 There’s so many cool DIY projects you can do with them as you will be seeing over the next couple months (that was your warning). 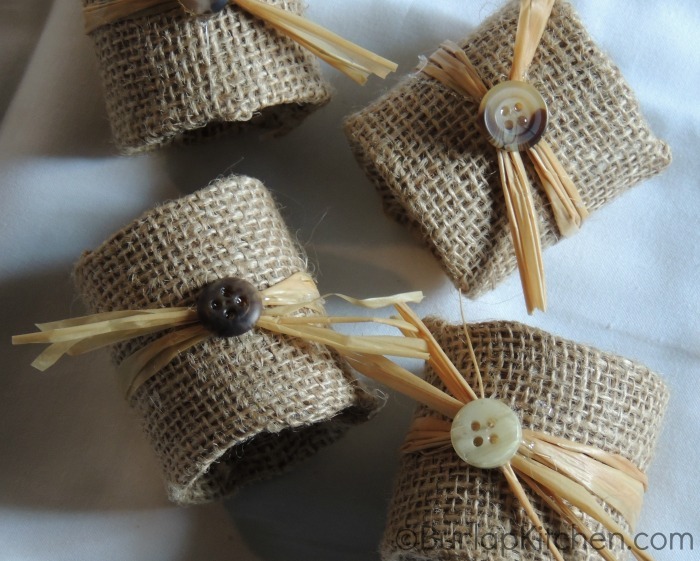 But I am in love with these burlap napkin rings that I made. 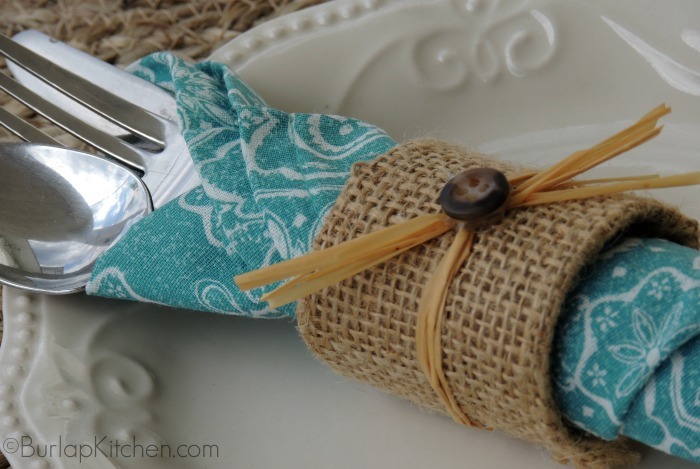 These are very inexpensive to make and fairly easy! I think they would be gorgeous for a wedding, and they cost next to nothing to make! Step 1: First take your scissors and cut the toilet paper roll in half. Step 2: Next cut little pieces of burlap to go around the toilet paper rolls. 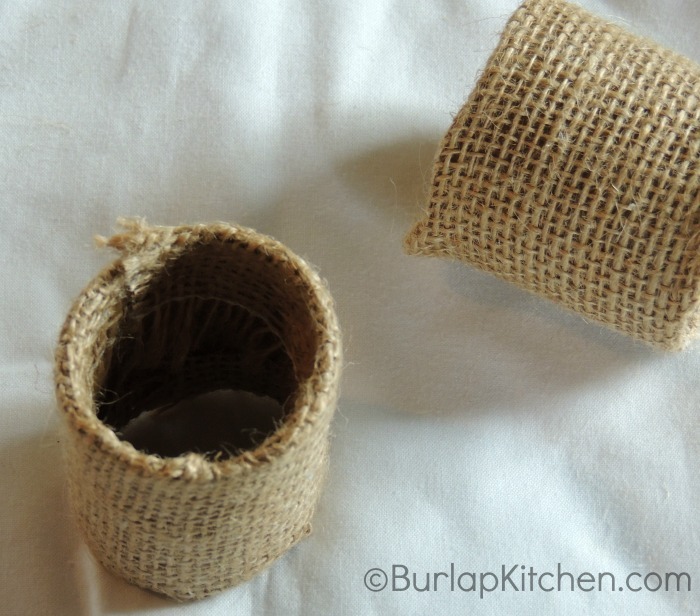 The best way to do this is to lay the toilet paper roll on the burlap and eye ball it. Once you cut your first square out you can use it as a pattern for the rest of them. Step 3: Take your glue gun and run a strip of glue in a zig zag motion up the roll. 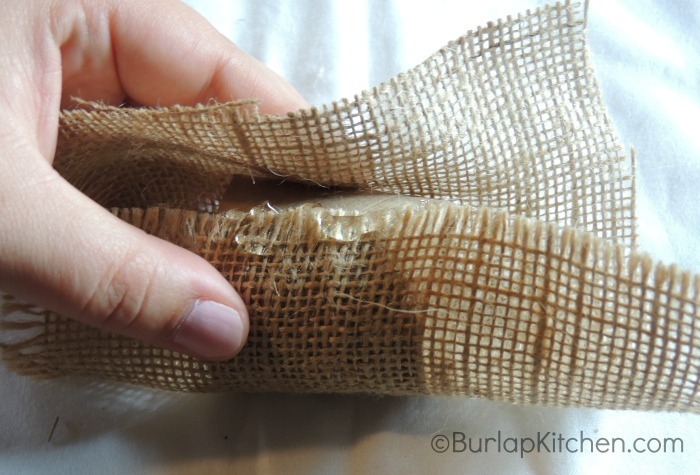 Place the end of your burlap square on the glue and hold till dry. 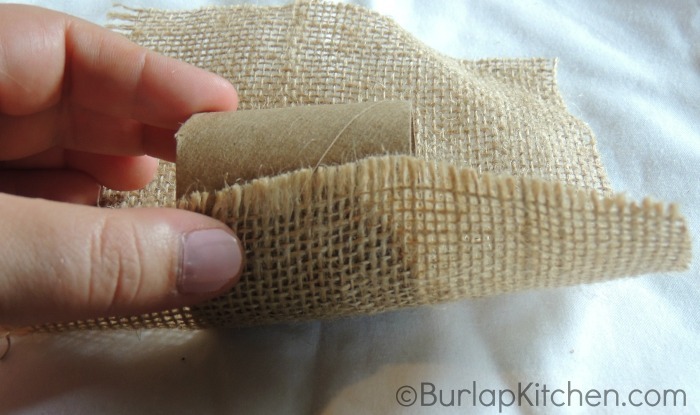 Roll the toilet paper roll till you reach the other end of the burlap, glue it using the same technique you used with the other end. 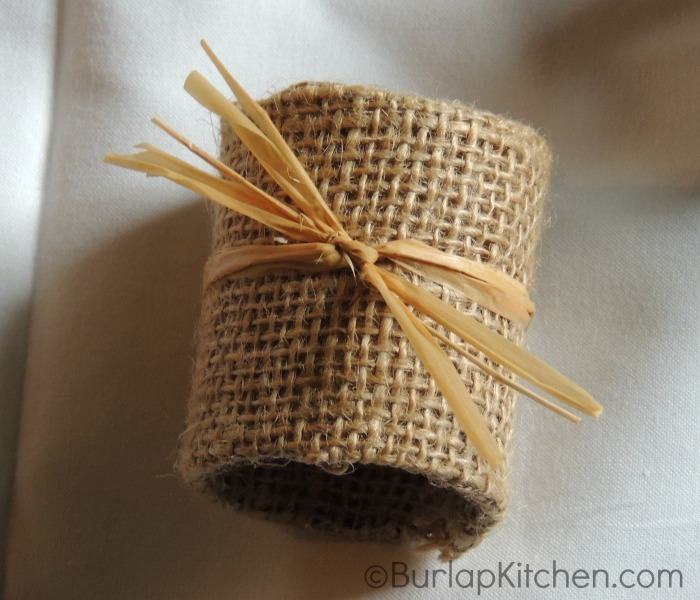 Step 4: Run glue along the inside of the toilet paper roll and gently tuck the burlap down carefully pressing so it sticks. Do the same to the other end. Step 5: Get a few pieces of raffia and tie a double knot around the center of the roll. Make sure your bow is on the opposite end of the seam. Trim raffia to desired length. Step 6: Glue buttons on the middle of the knot. 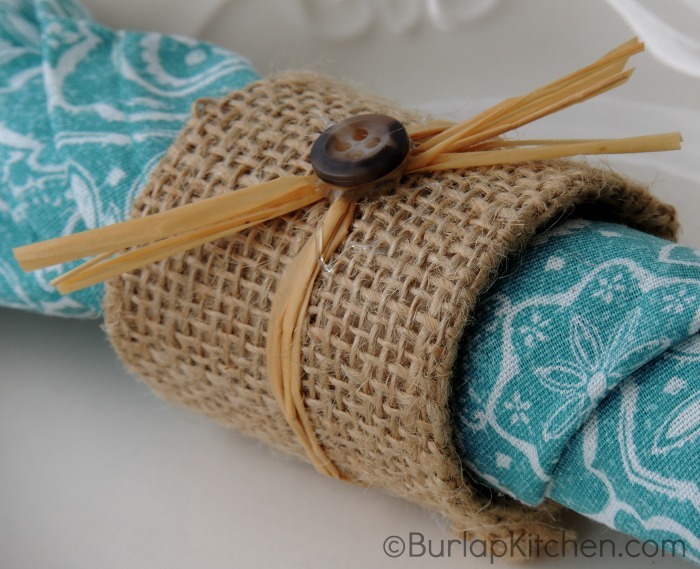 Step 7: Fold silverware in napkins and put burlap ring around the napkin.